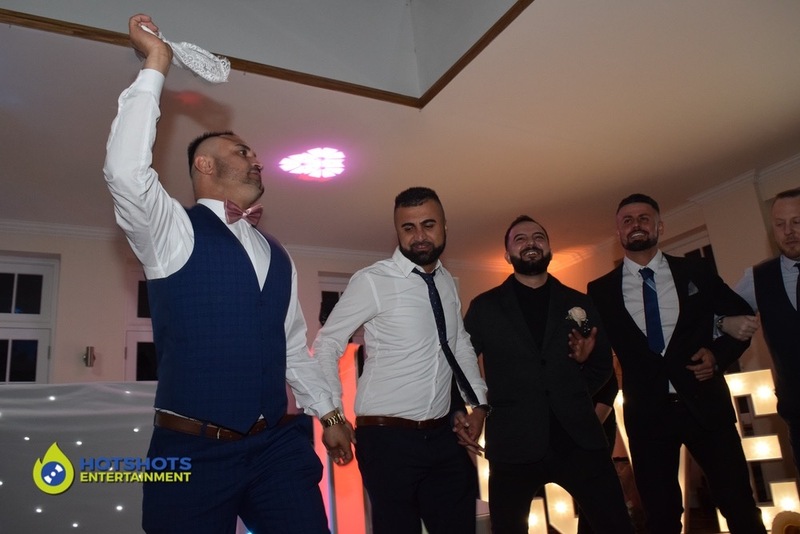 Hollie and Dashty’s Wedding DJ at The Walled Gardens 13th April 2019. 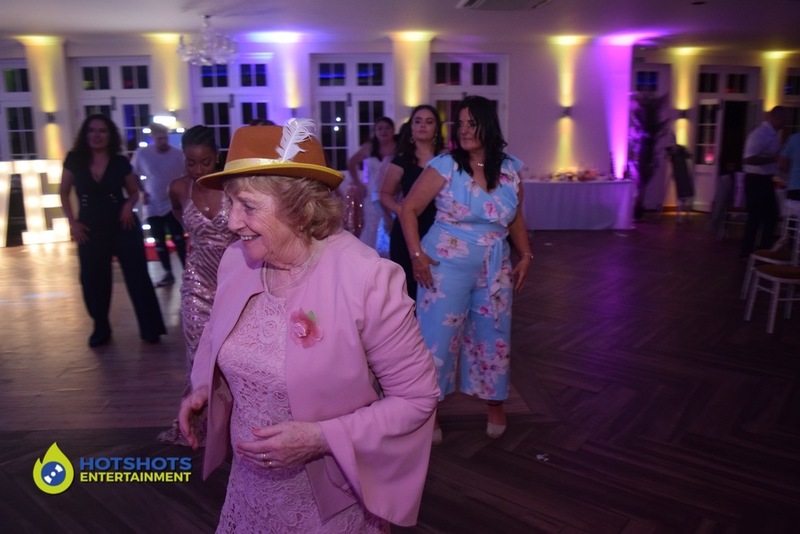 Hotshots Entertainment was booked for their Wedding DJ services at the stunning Orchardleigh Walled Gardens. It was our first time at the newly built building and I must say it is stunning. The grounds/gardens looked beautiful and the inside was very fresh and big. The happy couple took to the floor to cut their cake while the guests looked on. 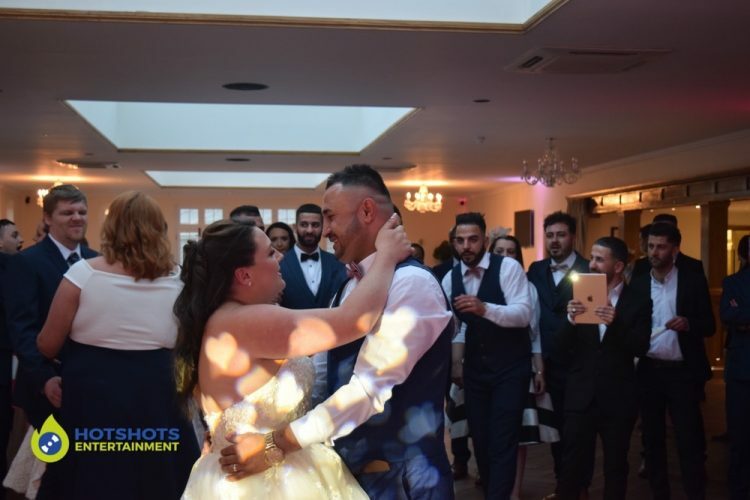 Straight after it was time for the first dance, which was James Arthur – Say You Won’t Let Go (live lounge version). 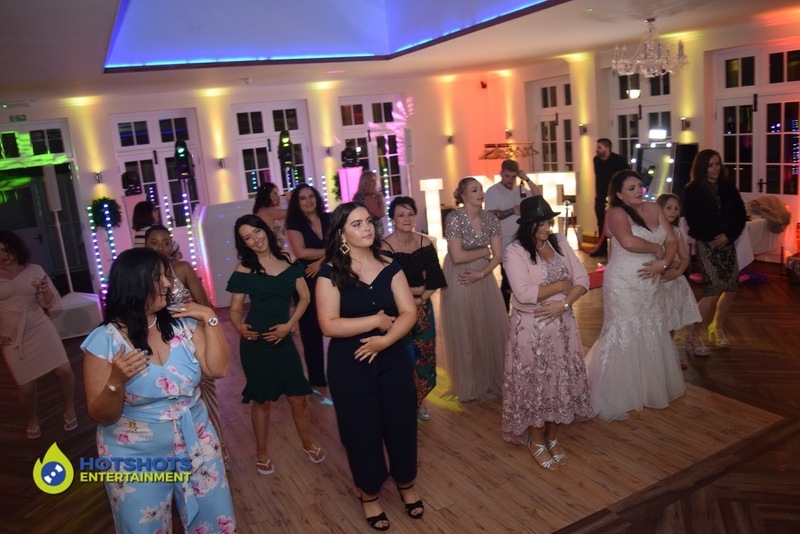 such a lovely song, the guests joined them about halfway through. 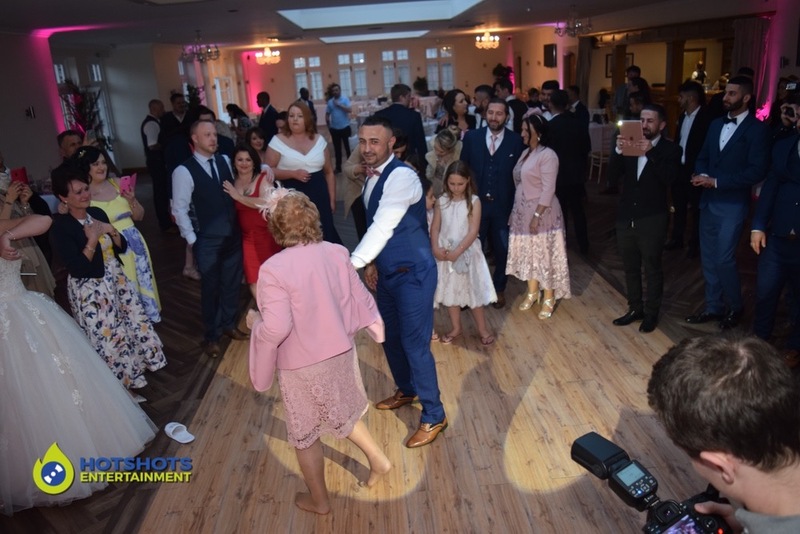 After the first dance I kept Dashty on the dance floor to dance with Nan, a special song for her sapphire wedding anniversary, sadly grandad is no longer with us. Dashty did wonderfully and Nan had a big smile on her face. 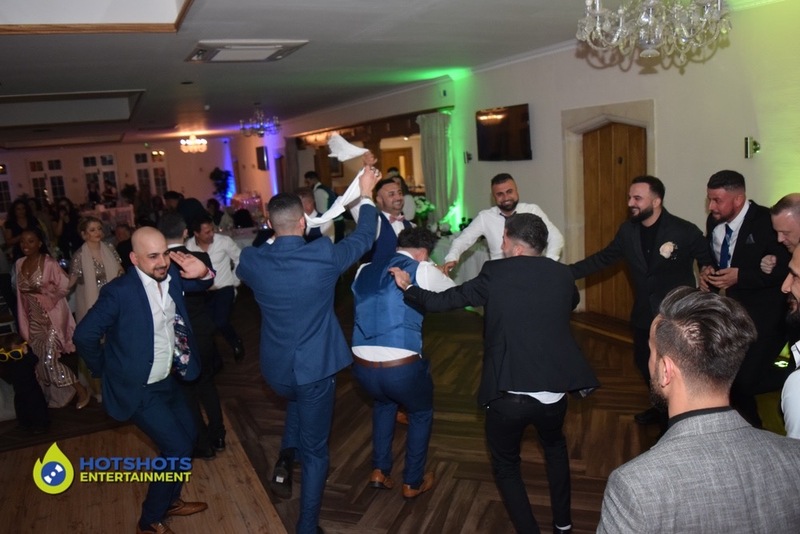 As the groom and quite a few of the guests were Kurdish, they supplied me with some songs to play for them. Wow is all I can say, I’ve never seen a Kurdish dance live before, but they sure know how to have a good time. Linking arms, stamping their feet and chanting away was a great experience to watch. They thanked me for every time I played some, so polite and very friendly. 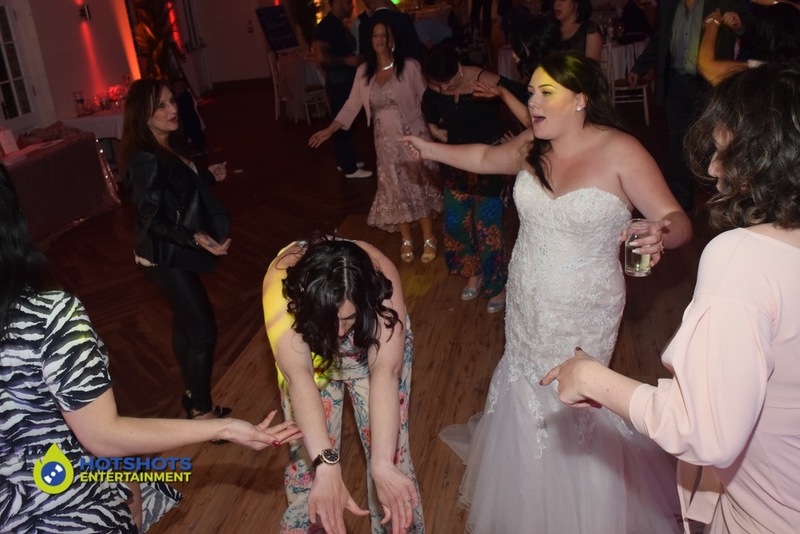 Later in the evening, all the guests joined them in a big circle on the dance floor. I did take some pictures, you can see a few below and the rest you can find HERE on my Facebook page, please tag, share and like. If there any pictures you would like removed please message us directly. 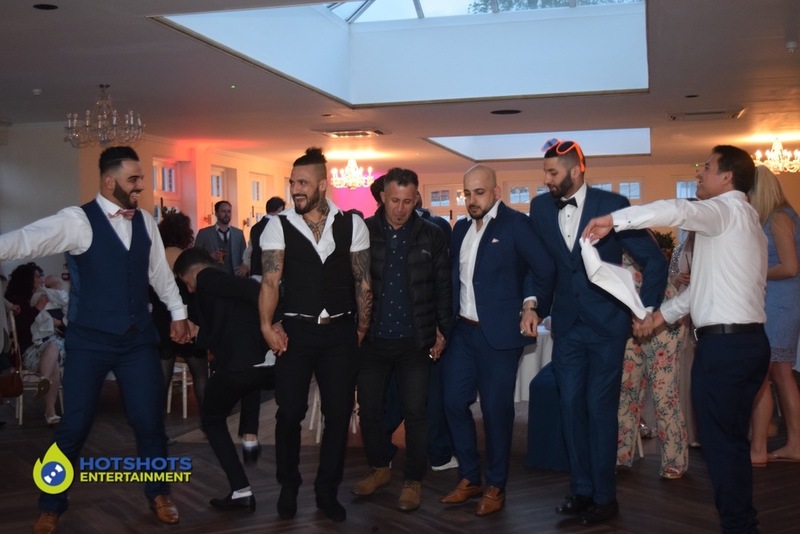 We’re so glad you chose Hotshots Entertainment to provide the entertainment and we loved every bit of the evening. We wish you both many years of happiness together.